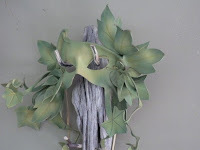 Etsy Lounge: Halloween: Don a Mask from Etsy! 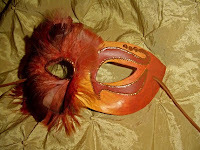 Halloween is a festival celebrated with costumes and masks. Known also as "All Hollows' Eve," the holiday originated in ancient Celtic culture as a secular festival marking the transition from longer days of summer to the shorter days of winter. Called "Samhain," which meant "summer's end," the ancient Celts believed that the border between the worlds of the living and dead was at its thinnest on Samhain, enabling spirits from the "otherworld " to pass through. 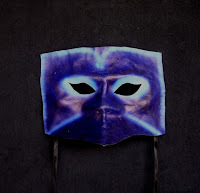 The benign spirits of family ancesters were welcomed, while malevelont spirits were warded off with masks and disguises to deflect ill intent. Pagan symbols of Samhain also included skeletons to represent the departed, and lanterns carved from vegetables representing the human head, symbolizing this most powerful body part where spirit and knowledge reside. These ancient folk traditions evolved through the ages to become, in modern American and other societies, a day of good fun, blending ancient beliefs with all manner of superstition and Gothic horror stories. 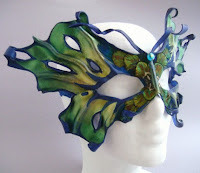 Focusing on masks for today's showcase: Most of the creations featured today are wearable, not typical commercial Halloween costume masks, but are pieces to collect, display or wear for any celebration calling for masquerade attire. Click on the pictures to go directly to these Etsy listings. Prices range from $20.00 to $3200.00. 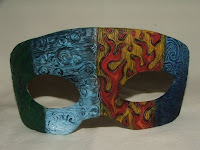 love the different and unique masks!! 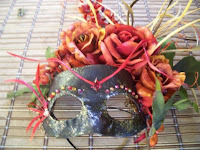 My mask is the autumn flowers mask. Thank you for posting! Visit me to see the rest of my products. Click on my name to visit my etsy shop! 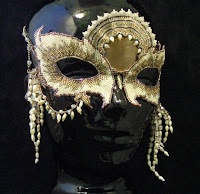 The masks are gorgeous! Great picks. Beautiful picks the a Halloween feature. 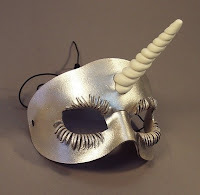 I love artistic masks, especially the unicorn one and the moth one. Truly lovely pieces of art. 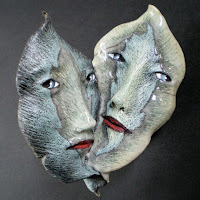 Ohhhh Andria, aren't these masks wonderful!!! I love them all--such an entertaining and informative post, thank you!! Now I'm off to get a better look!!! 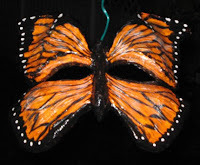 wow these masks are amazing! Thanks a lot for including my little piece! Even though it's not a wearable mask, she feels right at home. love the photo montages in your shop ~ especially the rain one! 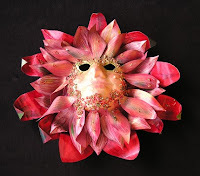 Wow, a lovely collection of masks and there is one I made ! Thank you for adding something from www.faerywhere.etsy.com to your blog.